The Federal Reserve has kept interest rates near zero since December 2008, but it’s signaling to Wall Street that a rate hike is likely later this year. 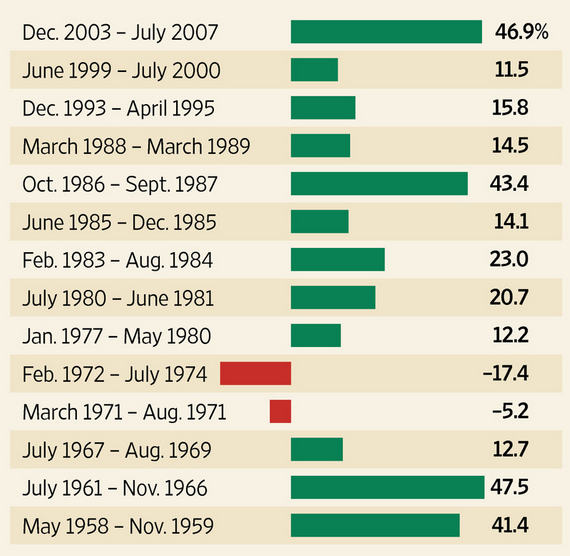 The central bank last raised rates nine years ago. We all know that when interest rates go up, bond prices fall. However, what happens to US equities when interest rates rise? The past is an imperfect guide, but looking back over tightening cycles since the inception of the S&P 500 in 1957, US stocks have fared well. 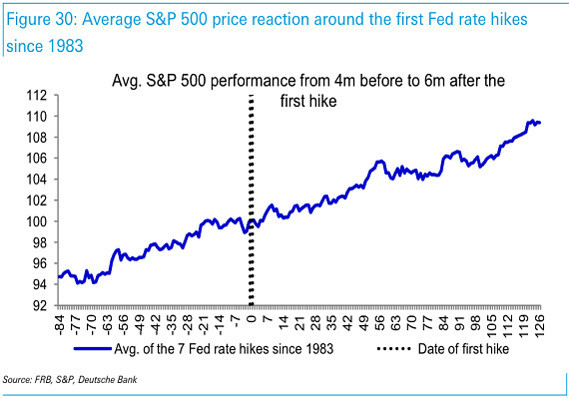 Performance to the left measures S&P 500 change from interest rate low to high.